COLUMBUS, Ohio–You can wear an exoskeleton, but it won't turn you into a superhero. 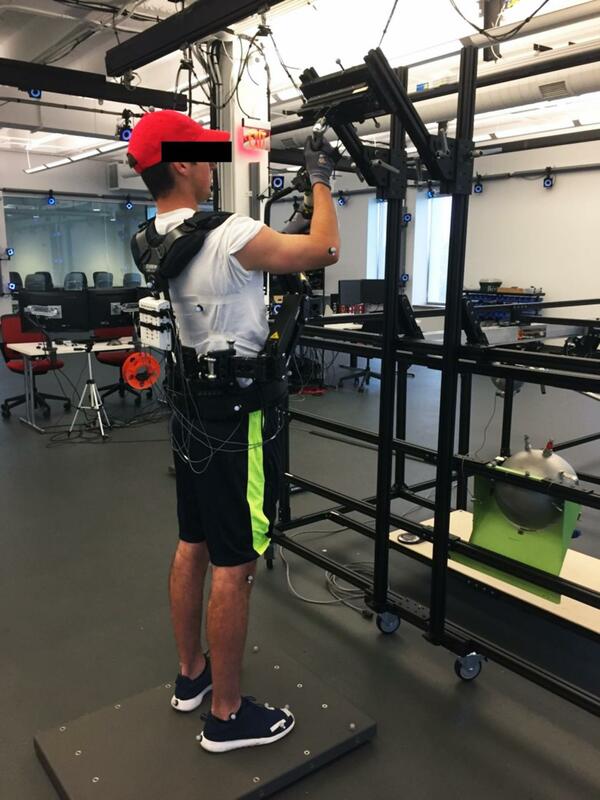 That's the finding of a study in which researchers tested a commercially available exoskeleton–a mechanical arm attached to a harness–that's typically worn by workers to help them carry heavy objects hands-free. In the journal Applied Ergonomics, the researchers report that that the device relieved stress on the arms just as it was supposed to–but it increased stress on the back by more than 50 percent. "This exoskeleton is meant to offload weight from your arms, so for your arms it's great," said Gregory Knapik, senior researcher at the institute. "The problem is, the weight of the tool, the weight of the mechanical arm and the weight of the vest you're wearing–that all goes to your back. At the end of the day, you're just trading one problem for a potentially even worse problem." "You see people wearing this same exoskeleton all the time–workers in industry, camera people at sporting events–so you'd think they'd be more comfortable. But, no," said Knapik. "People hated it for the short time that they wore it. Every single person said they would never wear this if they didn't have to." Passive exoskeletons, like the one tested in this study, contain braces and springs to help support areas of the body. Active exoskeletons, like those worn by Iron Man or Ripley in the movie Aliens, are just now starting to become a reality. They contain motors that aid movement–almost, Marras said, "like power steering for the body." He and Knapik will be testing the spinal loads caused by just such a powered exoskeleton this fall.